Delaware city police and fire personnel were called to a single-vehicle crash Wednesday involving a semi-truck at the corner of U.S. 36/State Route 37 and Davidson Lane. 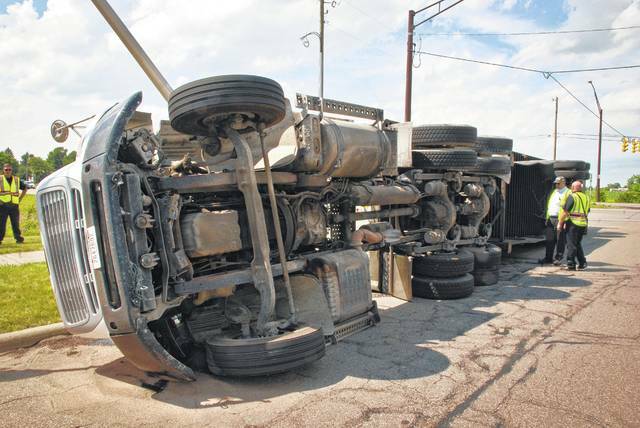 According to police, the driver was making a left turn from westbound US 36/SR 37 when the truck flipped onto its right side. No injuries were reported. The wreck is still being investigated. This entry was tagged delaware, Fire, ohio, police. Bookmark the permalink.